Hello! Welcome to the Spirit of Georgia! 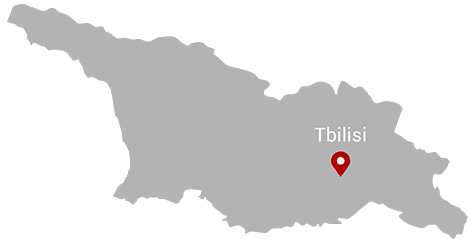 We offer one-day and longer trips, Old Tbilisi tours, individually determined programs and many active ideas for spending your holiday in Georgia. Our tour operators in the offices communicate in Russian, English and Polish. Our guides on our international group tours speak both English and Russian. We can also organize tours on request with guides that speak Russian, English, Polish, French, German, Farsi, Arabic and other languages, even Sign Language if needed. Our offices are located in centre of the Old Tbilisi on the streets that you will be certainly walking. So come round to us and don’t forget to ask about our special offers! Chiatura - is an industrial city located inland on the banks of the Qvirila River in the Georgia’s province of Imereti.